Tape-ball, quite simply a tennis ball wrapped in electrical tape, is probably the world’s most exciting version of street cricket. While many Australians would have grown up with backyard cricket, tape-ball is believed to have originated in Pakistan, where it has a cult-like following. Munawar Hassan grew up playing tape-ball on the streets of Karachi and he says the sport has spread its roots to India, Bangladesh and is quickly gaining popularity here in Australia. 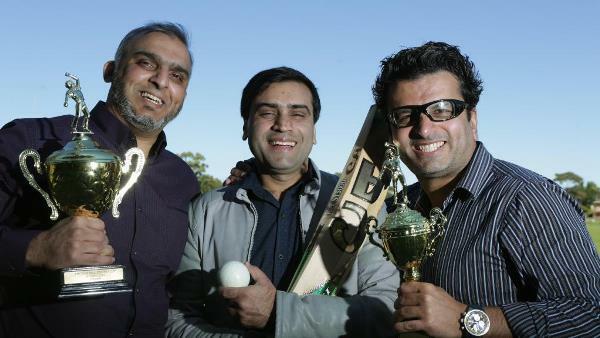 Now based in Roselands Sydney, Hassan is hoping to reconnect players with the game and this weekend he is holding the Seventh Tape Ball Cricket Cup in Sydney. Hassan, who was just named Cricket Australia’s community ambassador, first held the cup in 2010. “When I came to Australia 17 years ago I didn’t know many cricketers so I wanted to have an event that reunited players,” he said. The tennis balls make the game safer in crowded streets and the result is a faster, bouncier format of cricket. 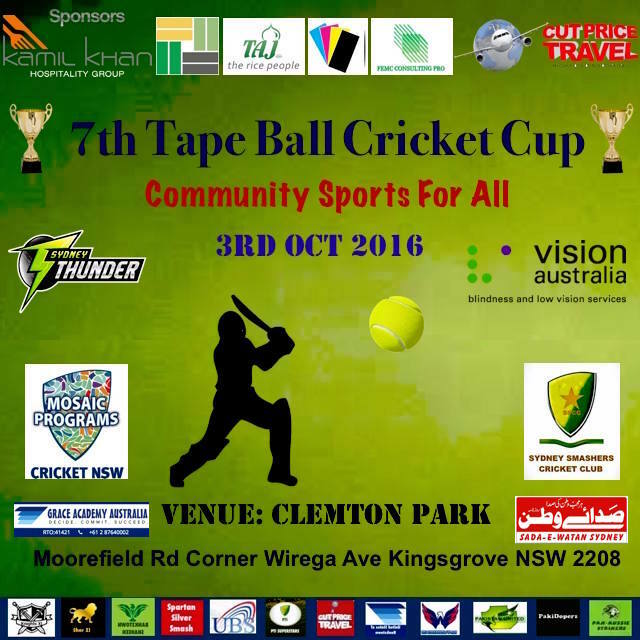 The Seventh Tape Ball Cricket Cup will be held on October 3, with about 500 people attending, and Hassan said everyone is welcome to the community-based event.The event runs from 8.30am-6.30pm at Clemton Park, Kingsgrove Sydney. on Monday Long Weekend 3rd October 2016. There are 12 Teams Participating in the "7th TAPE BALL CRICKET CUP". Around 400 - 500 people are expected in this community based event in which players and spectators from different countries will be participating & attending this tournament. In Past we had organised numerous community based sports events and were appreciated by community members and were successful. We believe this kind of event is a nice way to get integrated into community. The event coordinator is Munawar Hassan who recently appointed as "CRICKET AUSTRALIA COMMUNITY AMBASSADOR". While one of his organising member Mr Asim has appointed as NSW Cricket Ambassador. Mr Munawar would like to thanks MOSAIC Cricket NSW, Sydney Thunder, Sydney Smashers Cricket Club, Friends, Family members and specially his wife Tara for supporting him for this remarkable achievement. Feeling rejoice over his appointment as Ambassador, Munawar said that he feels honoured to achieve this remarkable milestone and he is thankful to Cricket Australia.